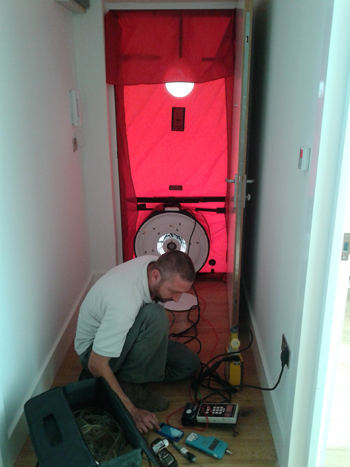 Therm Energy provides an authorised Air Leakage Testing service for newly built residential dwellings. Air leakage is the term used to describe the uncontrolled movement of air into and out of a building. The test will demonstrate whether the new dwelling complies with Part L of the Building Regulations (Conservation of fuel and power in dwellings). Not all newly built dwellings will require an ALT; the SAP calculations will determine whether a test is required. Our ALT assessor is independently authorised by The Air Tightness Testing & Measurement Association (ATTMA) to perform Air Testing, in addition to being an accredited Energy Assessor. Click here to view hints and tips on achieving a successful Air Leakage Test result.